This might put a quizzical expression on the face of that old commie Jim Anderton, (who once headed the Progressive Party). It also emphatically brings home the truth that more people need to realise. When Key was in opposition he scorned so much of what Helen Clark was doing, but with Govt spending and taxation the highest it has ever been, the reality is John Key in govt is not that different to the Helen Clark he was once so critical of. Of course Key claims a plethora of reasons for his change of tune, such as the MMP environment etc. However I suggest that is all just a smokescreen. The reason Key has not done as we who once supported him expected him to do is because he is a man without conviction. I know there are many who think I judge Key too harshly but I reject that criticism. Here’s one irrefutable reason why, and it is supported by Key’s own words from his twitter feed. When Key was in opposition he made one call that I found at the time quite inspirational. He said that Helen Clark’s Working For Families legislation was “Communism by stealth”. That was right. It is. When I heard it I thought, “Wow, if this guy makes PM we’ll see some fireworks”. So what happened when Key was elected? Nothing other than making the situation worse, as the above tweet shows. “because under the old tax system and abatement rates under the previous Labour Government, it was actually possible for people to lose more in abatement than they actually got“. He then went on to say that as National had tinkered with the legislation, that situation no longer applied and he was happy therefore to continue WFF. So think about that. Key in opposition called it “Communism by stealth” and said nothing about taxation abatement. But today its a good idea that just needed some tinkering by the National Party to make it work better. 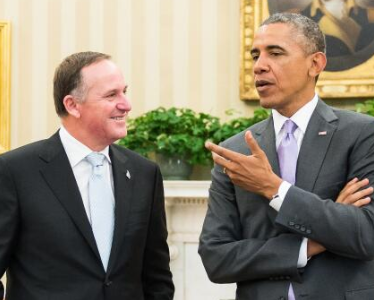 Key said on TV3’s The Nation that he and Obama were very fond of each other. So I think that is pretty clear. We’re left with only two possible conclusions. 1) Key never really believed WFF was “Communism by stealth”, and he is quite happy to continue it for reasons that are spurious at best. Or 2), Key did think it was “Communism by stealth”, but has decided to become a communist anyway. Has to be one or the other. My humble opinion is this implausible excuse for changing his position demonstrates that Key is capable of rank deceit, and ever ready to put convenience before principle. To me, such a complete change of stance carried out so shamelessly can only mean the guy is a charlatan. The exchange between Key and Cunliffe is here if you wish to read it for yourself. And here’s another tweet from Key where he states with pride how the once conservative National Party is now “progressive”. Someone once said that as a politician, “once you can fake sincerity you’ve got it made”. To me, Key has never looked sincere, but if the current polls are accurate, its clearly a ploy that has so far worked very well with a hell of a lot of other people. Many NZers may believe in his honest John persona, but it is very difficult for any reasonable person to deny Key’s duplicity in the matter of WFF. Key said at the weekend that he and Obama were “especially fond of each other”. He also said his main motivation for winning a third term was to change NZ’s traditional flag. He’s as Progressive as they come, and leading a party that was founded as a Conservative party. Just like RINOS in the US have ruined the Republican Party. You know Key is a bum by being friends with Obama. It is as the saying goes “birds of a feather flock together”..
He’s proven himself qualified for a UN job. 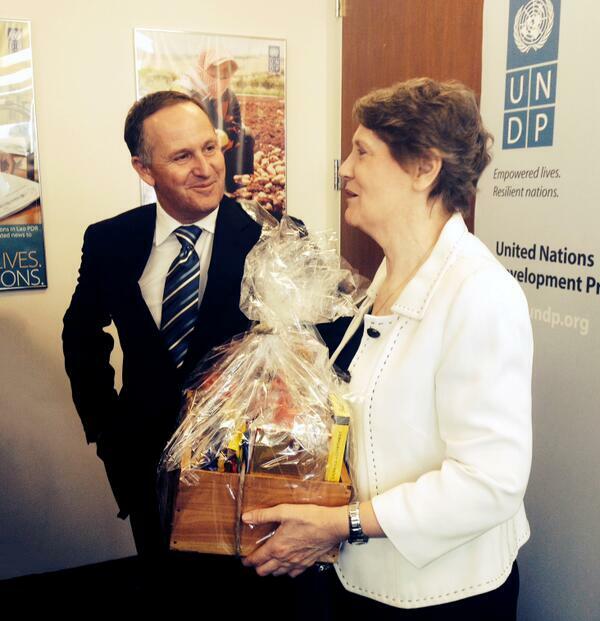 Yep, Key just delivered a big bouquet to Helen while he was in the US. In between lunch with the Clintons and holding hands with Obama. Red, it doesn’t seem to matter what he says or how he contradicts himself, nothing seems to stick. He is not Labour and the Greens and that’s all that counts to his obedient brainwashed minions who think anyone who seemingly opposes Labour and the Greens is somehow right wing. His constituents are half the problem; they are actually ‘progressives’ and they don’t even know it, and that is why he, another ‘progressive,’ can poll at 50% so easily. Yes, I’m afraid you’re right Terry. I’ve been spending a little bit of time on Kiwiblog lately and honestly, its almost impossible to tell the left from the right. Except for a few exceptions, they’re so infatuated with Key they’d vote for any kind of left wing policy without hesitating. Just mindless political ignorance that if it is typical of the whole country doesn’t bode well at all for NZ’s future. The idiot Nat supporters think they are winning, but what is won if all that is happening if the National Party has become the Labour Party? Its the left who have won, for thanks to John Key and his team, the National Party as it once was is now completely assimilated into the Progressive political paradigm. Interesting I have had some initial reaction from a few (and I know it is only a couple of days),to the Team Key business. They may as well call it the Key Party. Yes, I too have heard there is some discontent at Key’s extremely tight control of what goes out to the public. Seriously have had some trouble signing up WordPress does not like me and my browser does not like wordpress. As much as I find his politics despicable, Bill English would be a much more representative PM for National’s base conservative voters, political starscream that he is. However, John Key is right in thinking that MMP means he has to go for the center voters, who haven’t any real political ideology anyway, if he wants to actually win the election. It’s the smart strategic move for National, but it will hurt them in the long run. They need a junior partner badly, because the big tent cannot hold forever, but Colin Craig is political dead weight, and Jaime Whyte (or whoever is heading ACT these days) won’t appeal to anyone but my toff neighbours. If a real hard right party stood up they could take some of the burden off of national to appeal to everyone. Although if you want to go on a own goal scoring rampage, like Micheal Needham’s Heritage Action did to the Republicans, I think I can speak for the entire left in saying we would appreciate it. Whataya say champ, put your money where your mouth is? 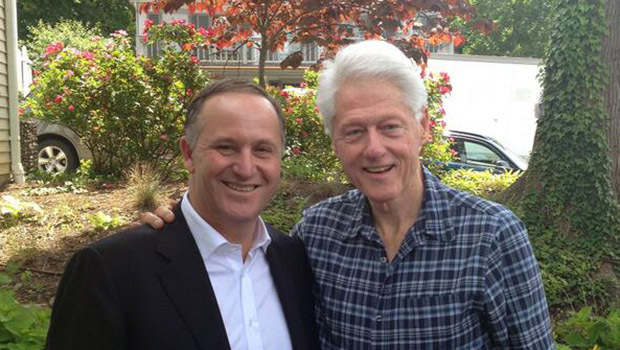 I think you give John Key to much credit. The smart move would have been for him to remove maori seats in 2008 as was National policy at the time, would be very ironic if the mana party brings him down this election. History shows that new governments can make big changes in their first term and still get re-elected. I think the real reason for his policies is because he is socialist. Its funny seeing the Nat supporters swoon after him, they believe his popularity is a sign of a successfully government. They are too dumb to realise that their party are just better at being socialist than labour. Ryan: after two terms it [Communism] is still your government’s policy. Ryan: Why is it [communism] there at all? … Why is it still there? Thanks kindly Terry, will check it out.